Ah Goat Cheese. It’s one of my vices, that’s for sure. I can sit and eat almost an entire package in one sitting, much to my belly’s dismay. I love the tangy, zippy taste that goes so well with fruit and grains. Chives are also another awesome ingredient that goes well with a lot of other flavours, so why not combine them together in a tasty scone? 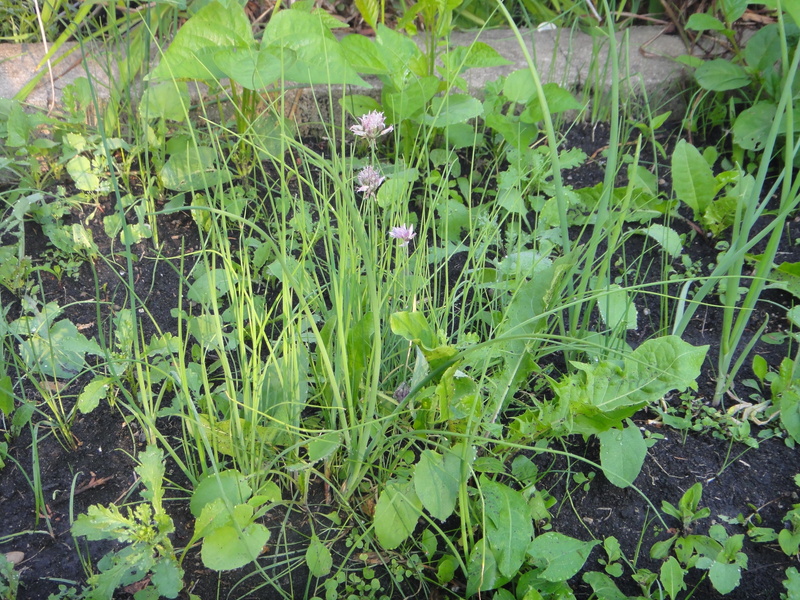 Here are the chives from my garden. We didn’t plant them, they just grew by themselves! For this recipe, I used Gold Forest Grain‘s Soft White Wheat, the lightest fluffiest whole grain flour around. I blended up all the dry ingredients and butter in the food processor. And added the wet to the dry. I bought a massive brick of goat cheese from Costco and added half to this recipe. Here are the beautiful chives, all ready to be chopped up and sconed. I sliced and diced them up. And here’s the batch pre-mixin’. Once all mixed, it made the perfect batch size. I rolled and dropped the scones. And they came out all nice and golden! Serve with a little bit of butter or cream cheese, or just enjoy warm with a cup of milk. See all those chivey cheesy bits? Delish! Preheat the oven to 425 degrees F and place the oven rack in the middle position. Cover a baking sheet with parchment paper. Add the flour, baking powder, sugar and salt to a food processor and pulse a few times to combine. 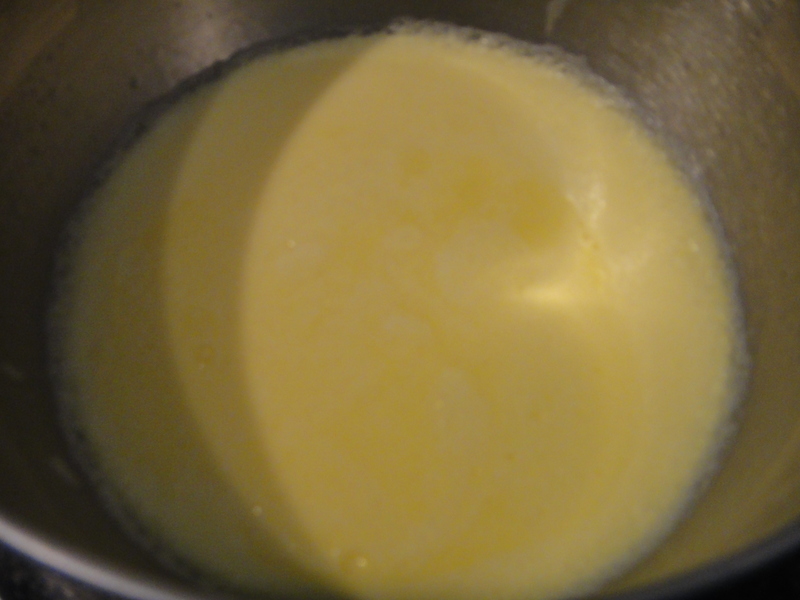 Distribute the cold butter evenly and pulse several more times to incorporate the butter. It should look like very coarse corn meal (a few larger pieces are ok). Add the yogurt, milk, goat cheese and chives and process until the dough is just combined. The less the dough is worked, the more delicate the biscuits will be. Mix all ingredients well until incorporated. Re-roll the dough as needed until all of the biscuits are formed. Bake for 10-12 minutes until lightly browned on top. Serve warm. I don’t know about you, but when the warm weather hits, all I want to do all day is sip tasty drinks in the sun with a smutty magazine. When Justin and I headed down to Canmore for a long weekend, that’s just what we decided to do! My parents gave us this awesome bottle of wine from BC from their last trip – They raved about it! It made for a fantastic Sangria. 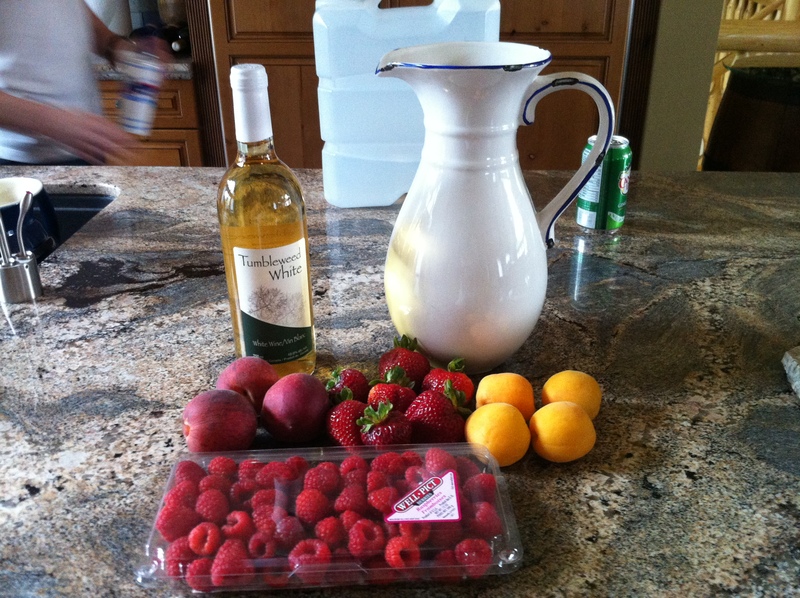 This sangria deserved the best, so we went all out and got strawberries, raspberries, peaches and apricots. Let sit for at least 2 hrs, so that the juices can mix, and top with some ginger ale for some fizz. Now sit, sip, and enjoy the rays. Chop up all the fruit and add to a large pitcher. Add wine. Let sit in fridge for at least 2 hrs. When ready to serve, pour 1/2 of the can into a glass, and add sangria and fruit. Serve cold. Enjoy! Ah Summer. It’s that time of year where berries are in abundance, the weather is fine, and all I want to do is eat ice cream. I love summer. I am truly a summer baby. 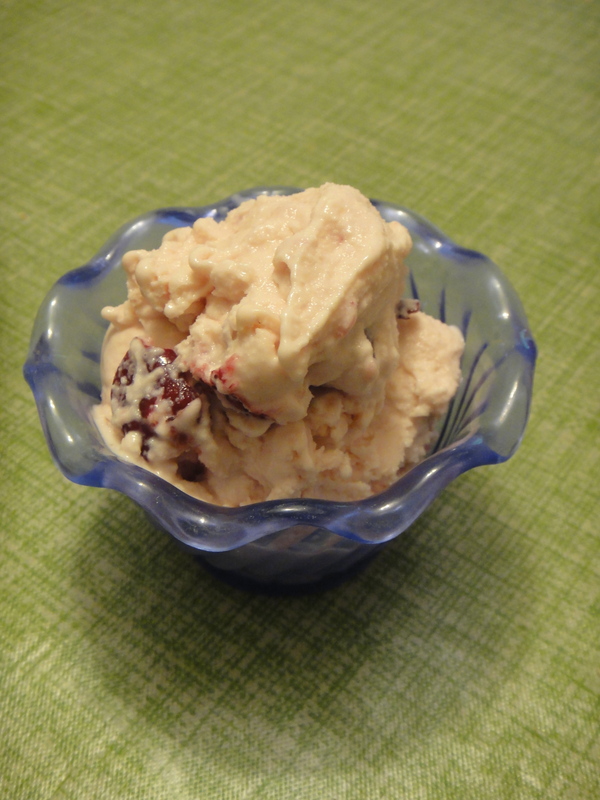 Today on the blog is a two berry ice cream, featuring summer’s delights: Strawberries and Cherries! I bought these strawberries from Steve and Dan’s Fresh BC fruit. I got them while Market Mobbing with Slow Food Edmonton at the Terwiliger (SW) Market. I had an interesting chat with Steve. I’ve seen his tasty golden strawberries now at the 124 Street and the SW market, waiting patiently for them to appear at Strathcona, only to learn that he is not allowed to sell his strawberries at Strathcona because of an internal policy forbidding out-of-province fruit to be sold at all. I understand that when the Alberta Strawberries are in season, out-of-province berries should not be allowed at local markets; however, when the berries are not in season yet, why on earth would the market association forbid the sale of these delicious gems? As a local consumer, I have been taking my business elsewhere, because I can have access to these berries earlier in the year. Downtown also allows out-of-province vendors to sell fruit year round, as supplies last! To top it all off, I spoke with the market director at Strathcona about this, only to find out that only Alberta based vendors are allowed on the Market association. I smell some favoritism and silly politics going on. What do you think about this? Please comment below! 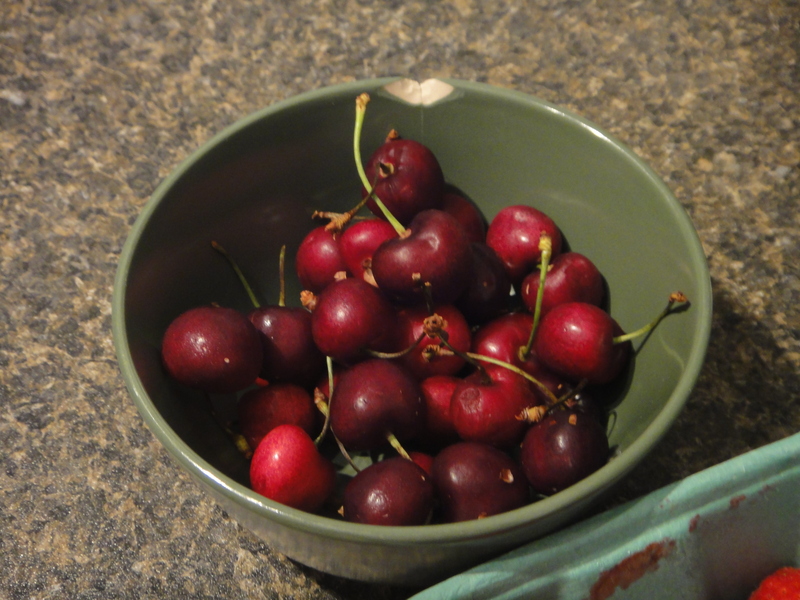 Thank God cherries are allowed at Strathcona. I bought a 5 lbs bag the first day they appeared! 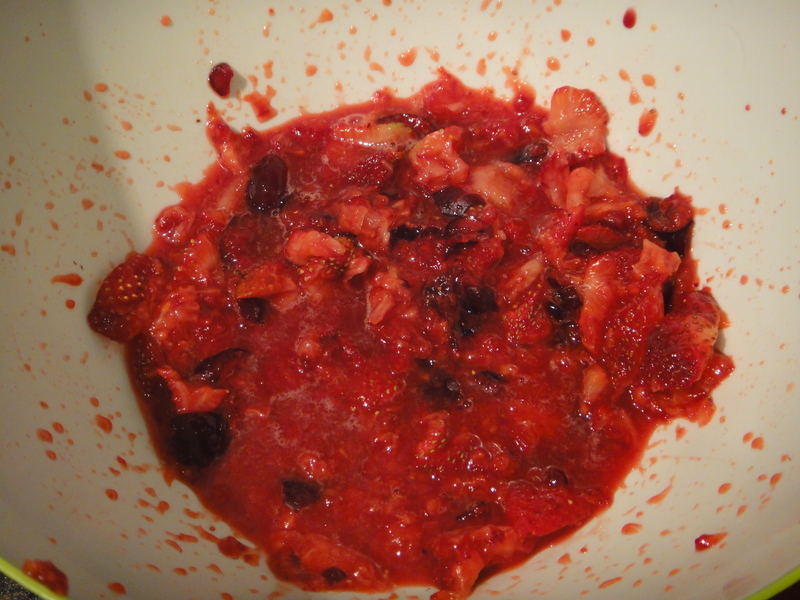 I pitted some cherries and diced the berries and added a little sugar. Then I mashed them all up and let them sit in their juices for a while. The best ice creams are made using a custard base. I’ve made ice cream the conventional way, with just cream, and I will never go back after creating custard based ice creams. So much more deliciously creamier! 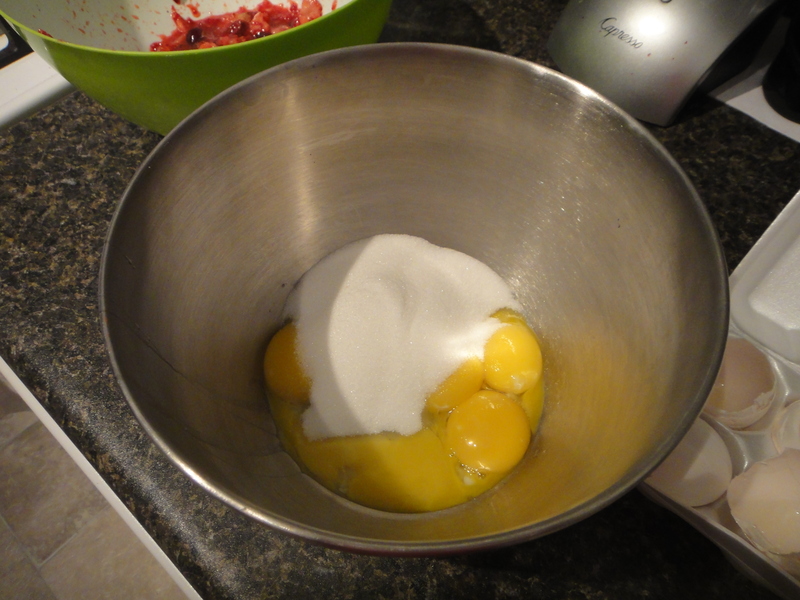 Separate eggs yolks from the whites and add sugar. Next, heat your milk on the stove until just steamy. And then beat it into your yolky sugar one spoonful at the time. 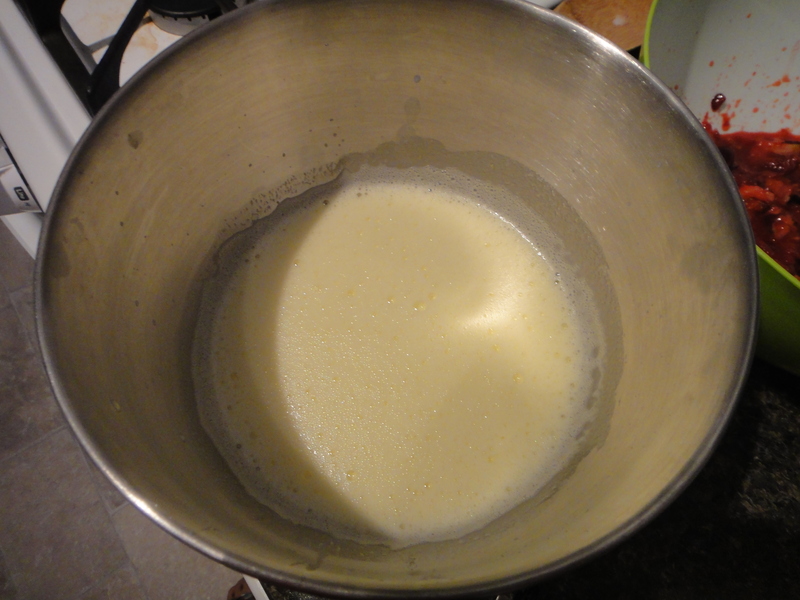 Transfer back onto the stove and cook over medium-low heat, stirring constantly until it begins to thicken. It’s ready when the mixture covers the back of a spoon. Next, let cool completely in the fridge. I always do this overnight, to ensure it is super-cooled. When it’s time to make the ice cream, add the berries and cream. 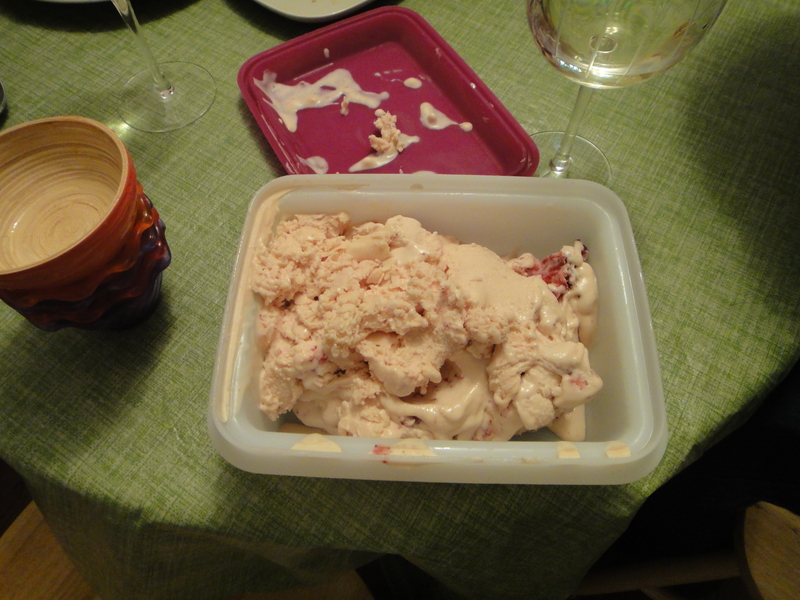 Make ice cream according to your ice cream maker’s instructions. It made this much! Perfect, delicious, tasty berry ice cream for a perfect summer evening. Love it! 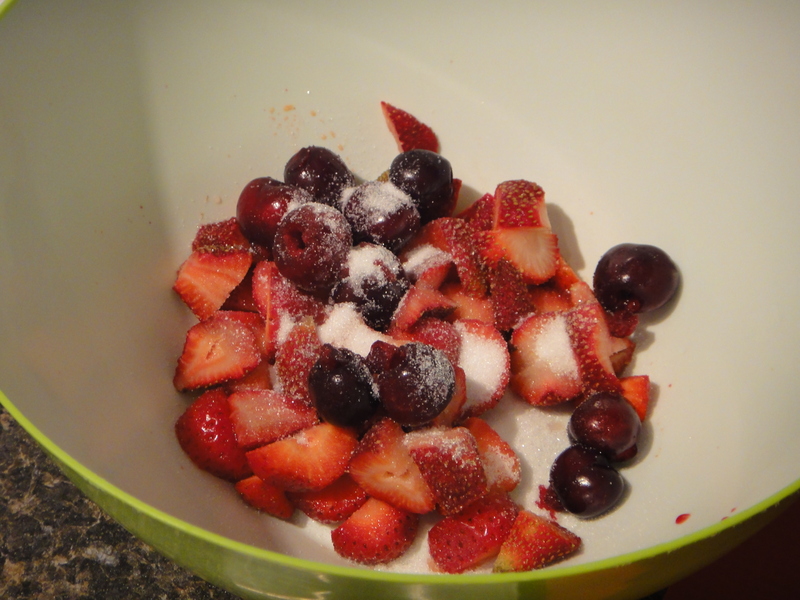 Chop up strawberries and cherries and place in a large bowl. Sprinkle with sugar. Mash into a tasty mess. Set aside. 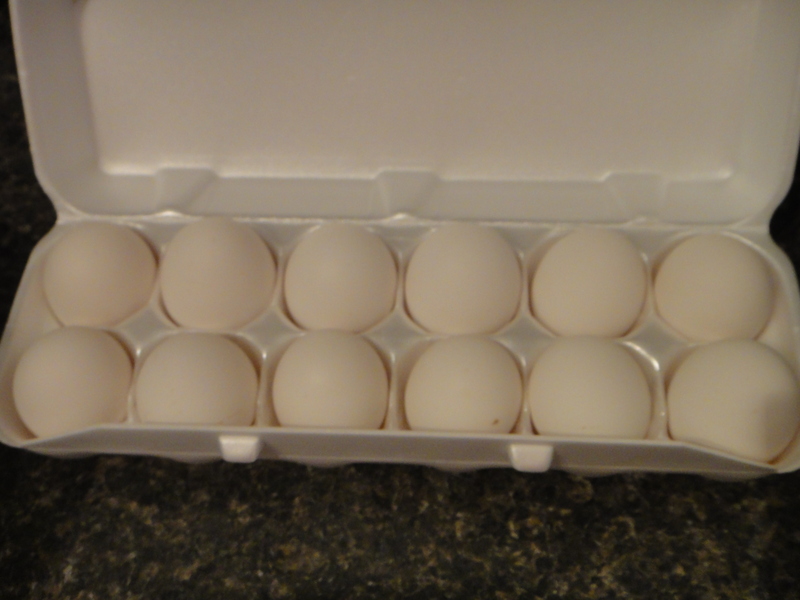 Separate eggs, reserving yolks in a large bowl. Add sugar and beat until light. 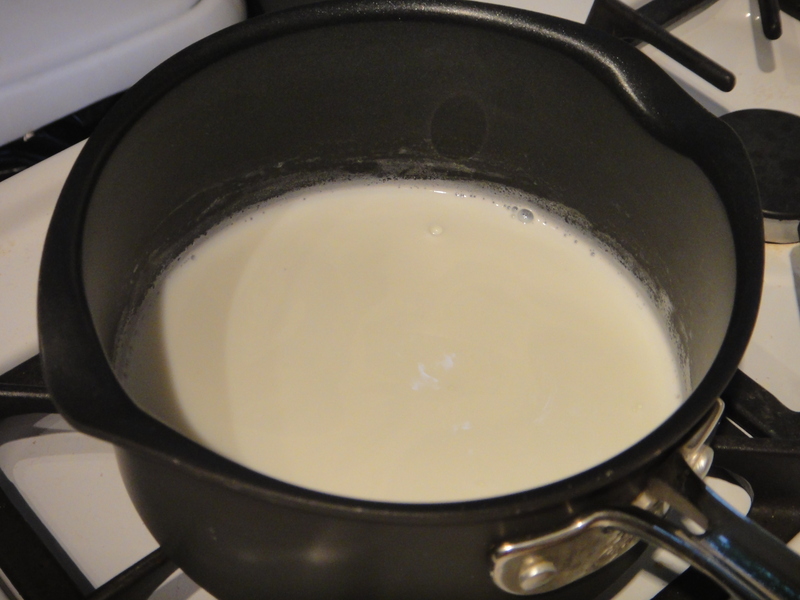 While beating, heat milk on stove until steamy. 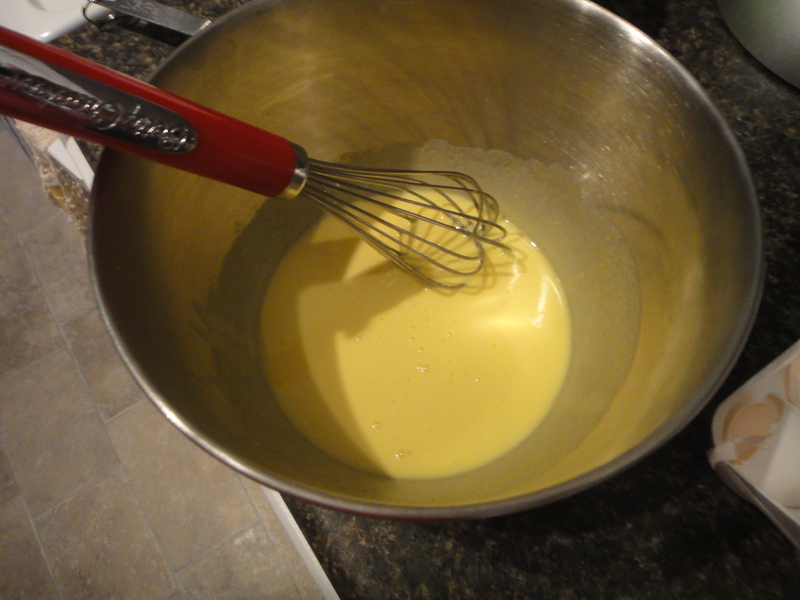 Add to egg yolk mixture, stirring constantly, progressively, one spoonful at a time. 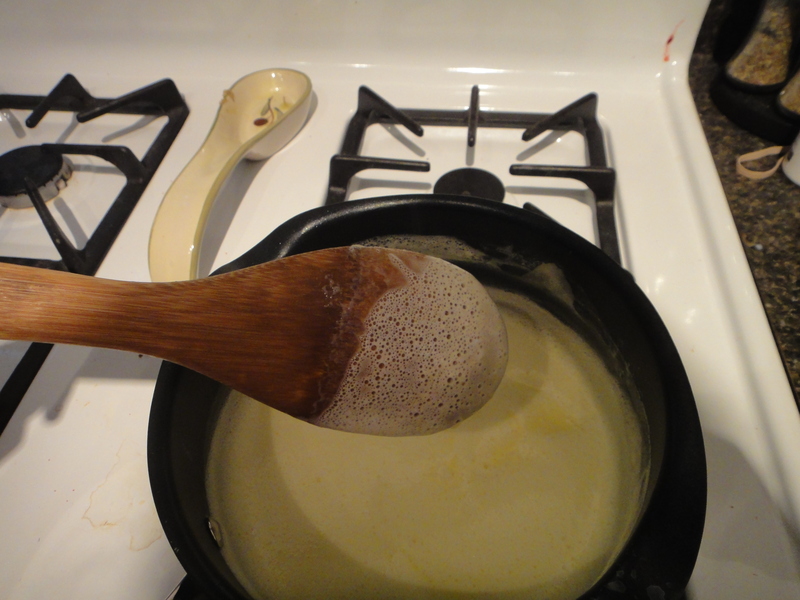 Transfer mixture to stove and cook over medium-low heat, stirring constantly, until thick – thick enough to cover the back of a spoon. Transfer back into bowl, cover and let cool in fridge overnight or for at least 8 hrs. 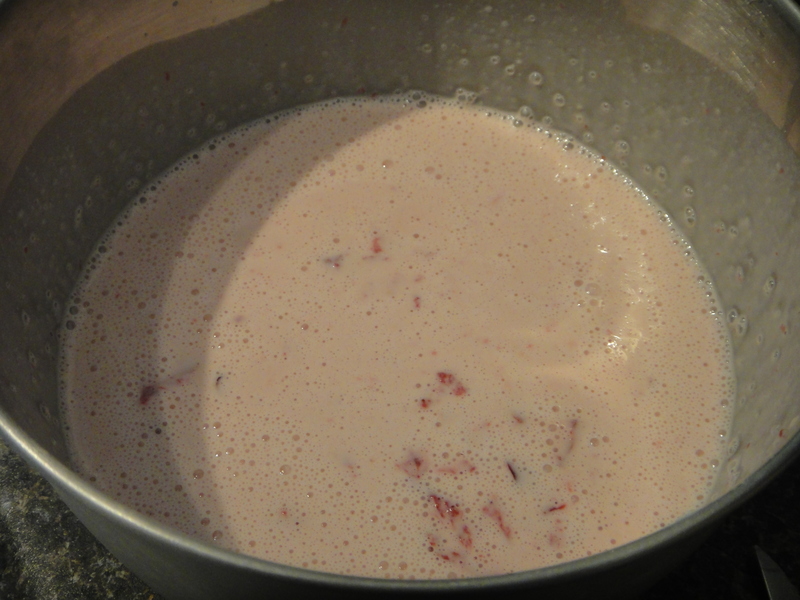 When ready to make ice cream, add creamer and berries. Make ice cream according to your ice cream maker’s instructions. Transfer to a airtight container and freeze a little longer before serving. Enjoy. A lot!